The Algarve provides excellent value for money, especially when compared to many of the other established European holiday destinations, while as a people the Portuguese are welcoming, hospitable and progressive. Southern Portugal is a hassle-free destination; hotels are of a high standard, there are comparatively short flights, English is universally spoken and the extensive selection of restaurants means that every cuisine or dietary requirement is catered for. This guide has been written as an introduction to the Algarve, primary designed for tourist who are planning a holiday to the region. The Algarve is in the midst of unprecedented period of growth and investment; new businesses are opening, hotels are extending their seasons and there is a real confidence about the region. The Algarve is expecting a spectacular 2019 summer season (based on 2018), with thousands of new tourists discovering this wonderful holiday destination. 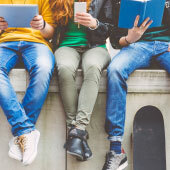 As summer 2019 will be a sell-out year, our advice to you is to book your flights and accommodation now before they are gone. 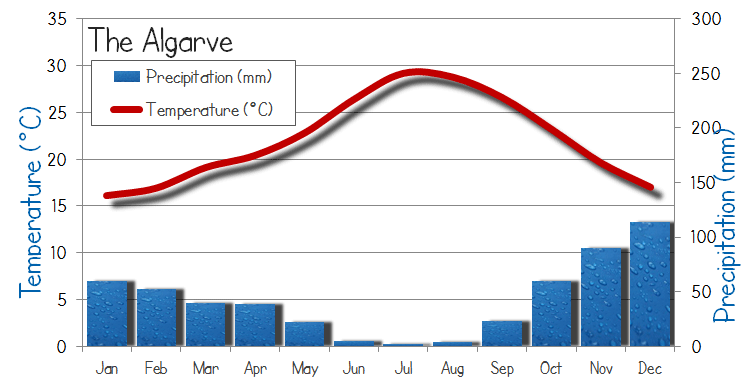 The Algarve has long hot summers, pleasant spring/autumns and winters that are mild but unpredictable with an equal number of bright days as wet days. The height of the tourist season is from July through to August and this is when the beaches are packed and hotels are sold out. June and September tend to be popular months with couples, being outside of the school holidays and without the hordes of children, but there is still fantastic weather and a buzz about the region. The weather is suitable for spending time on the beach from May until the end of September. 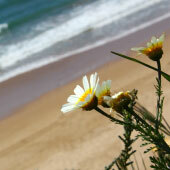 Some of the most enjoyable Algarve holidays come from a touring or multi-destination trip. Each of the coastal towns has a very distinct atmosphere and appeal, and there are not long distances separating them. Popular routes combine the calmer and relaxed eastern Algarve (Tavira or Vila Real de Santo António) with the buzz on the central Algarve (Vilamoura or Albufeira) then with the history and authenticity of the western Algarve (Lagos, Portimao or Sagres). For a full guide to a series of touring holidays please see this article. Overall, the Algarve is a hassle-free family destination, English is widely spoken by all, children will be welcomed in all restaurants/shops/cafes, and supermarkets stock all common goods and brands. We have been visiting the Algarve with children and families for many years, and often the main complaint is why did they not discover the Algarve sooner! 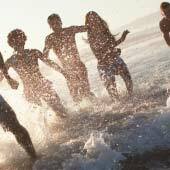 It’s finally the end of college, university or the summer break from listening to the monotony of your boss, and you and your group of friends need a dose of summer sun and fun; then the Algarve is the destination for you. It is perfect for days lounging on the beach and fun-packed nights with a smattering of holiday-based activities. The Algarve is vibrant and social but is not as extreme as Bulgaria, Ibiza or Cyprus. Also, the Algarve does not have the ridiculous prices of the Balearica Islands. To get the most from the Algarve, always be within walking distance of the larger resort towns (Albufeira, Praia da Rocha and Lagos), and visit between June and September. And most importantly don’t forget travel insurance!!!! Portugal is rightfully becoming one of the most popular destinations for US tourists; there’s history, culture, and diversity, while still being one of Europe’s least expensive countries to visit. The Algarve is one of the most beautiful regions of the country, but it cannot be fully seen in just an extremely short excursion from Lisbon. If you’re planning to visit the Algarve, allow sufficient time (five or more days) and embrace the relaxed pace of life of the region. 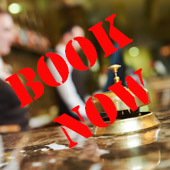 As indicated before, hotels need to be booked well in advance during the summer. 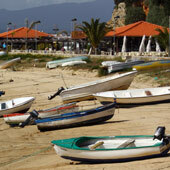 For a cultural trip head to Lagos or Tavira, while for 5-star/golfing break visit Vilamoura. Public transport does not have the same social stigmas as in the US, and buses and trains are widely used by everyone. Note: This type of scam is not just limited to the Algarve but is found in all major tourist destinations. The Algarve is just ripe for it, as demand for accommodation outstrips supply. 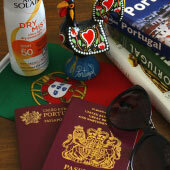 The Algarve is served by Faro airport, and this airport is conveniently positioned in the middle of the Algarve. 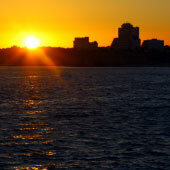 The majority of tourists who visit the Algarve will be based in the section of coastline that extends from the Praia da Rocha to Vilamoura, all of which are located to the west of Faro airport. Outside of this area more traditional and quieter Portuguese towns can be found. 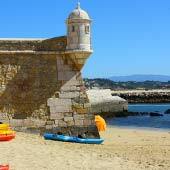 Tavira is a delightful town that is situated on the banks of the slow flowing Gilão River. The town of Tavira has reminded unchanged despite the advent of mass tourism, and provides the visitors with a charming town centre of cobbled streets, lined with traditional houses, which lead all the way up to the ancient castle. Ideal For - Couples who wish to discover the unaltered side of Portugal, or any visitor looking for a peaceful relaxing holiday in a wonderful town. Not suited For - Party goers, since Tavira is a traditional and calm town. Families with older children, as Tavira is a long way from the water parks, zoos and adventure that most children want to visit during a holiday. Albufeira is the most popular resort town of the Algarve, and this is because it excels at everything wanted for a holiday destination. The beach is massive, there are great holiday activities and the pretty old town is crammed full of restaurants, shops and bars. 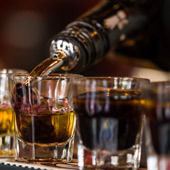 For groups and party goers there is “the Strip”, a road full of themed bars and outrageous clubs, which is just far enough (2km away) from the Old Town not to annoy other tourists. As Albufeira is the largest resort, the summer season is much longer, and there are still things going on during the low or off season. There are many enjoyable day trips from Albufeira for those visitors who wish more than just a beach, while the massive all-inclusive hotels are great for tourists who simply wish to relax. Ideal for – Generally most visitors. There are great facilities, fantastic hotels and well over a 100 different places to eat out at. Not suited for – Visitors who wish to escape the summer crowds, Albufeira is very busy in the summer and prices sometimes reflect this. 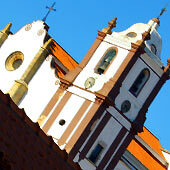 Lagos is on the very western edge of the Algarve and is one of the region’s most fascinating and interesting towns. Lagos is set on a stunning coastline of massive sandstone cliffs, wide beaches and crystal clear waters. Within the vicinity of Lagos is the Dona Ana beach, which is considered to be the finest in the Algarve, while further along the coast are the stunning cliff formations of the Ponta da Piedade. Ideal for – Visitors who want more than just sun, cheap food and drink. Active couples who want to visit and experience a lot during their holiday. Not suited for – Party animals; the night life is more restaurant and food based. Vilamoura is the super-rich’s playground in the Algarve. The whole town was purpose-built as an exclusive destination that is focused around the larger marina and is filled with million dollar yachts. The town boasts six championship-grade golf courses and is the location to be based for a golfing holiday, just expect expensive green fees. Vilamoura is smart, stylish and trendy, and completely without the signs of neglect found on the edges of many other Portuguese towns. Not suited for – Bargains or visitors on a tight budget. Faro is often over looked as a tourist destination, being primary used as a transport hub for the airport, train or bus services, but this beautiful city has a lot to offer. Faro boasts a charming historic centre, which is circled by ancient Moorish walls, and a pleasant pedestrianised shopping zone. Departing from the marina there are boat tours which explore the Ria Formosa National Park and visit some of the quietest beach in the Algarve. Faro’s main beach, the Praia de Faro, is surprisingly low-key considering it is just a 5 minute bus journey from the airport. For a guide to Faro please click here. Ideal for – Short stays (1-2 nights) or as the first destination due to the close proximity to the airport. 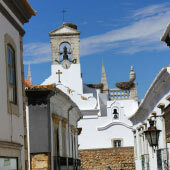 The great transport links means that Faro is a good base from which to explore the Algarve. Not suited for – Sun worshipers, the main beach is a 15 minute bus ride away. Praia da Rocha is a large and hectic summer resort, that crams in visitors during the summer season. There is a massive beach (larger than Albufeira’s beach), which on following the coastline changes into little coves hidden behind giant sandstone cliffs. The resort has countless bars, restaurants and shops but has a much more modern appearance than Albufeira. 2km north of Praia da Rocha is the large but sleepy town of Portimão; for beaches and nightlife it's better to be based in Praia da Rocha, and not Portimão. Praia da Rocha is suitable for families as well. Not suited for – Visitors seeking cultural or historic sights. Quarteira is where the non-millionaires of Vilamoura live and work, but it is just a 10-minute walk from Quarteira along the coast to it’s exclusive neighbour Vilamoura. 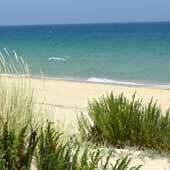 Quarteira has a much better beach than Vilamoura and a pleasant promenade extends for the length of the beach. Quarteira offers great value accommodation, food and drink but the town has very bland appearance with large apartments, hotels and none of the Portuguese charm found in other locations. Quarteira is much quieter and smaller than Albufeira or Praia da Rocha. 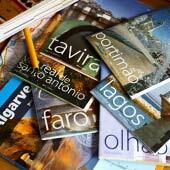 Not suited for – Visitors seeking culture, history or a pretty Portuguese town.